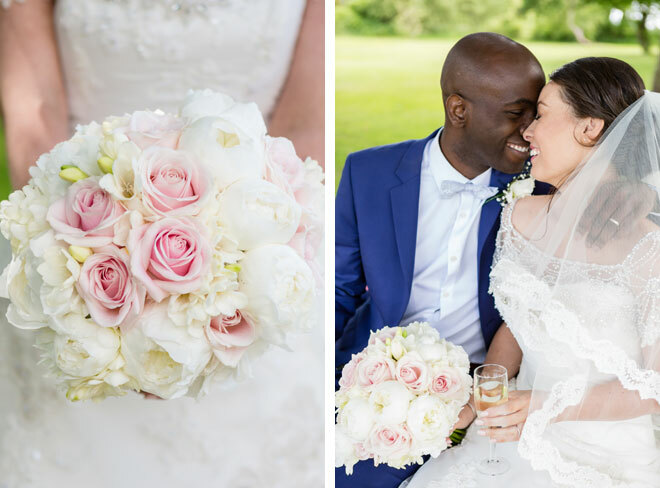 Love and romance was certainly in the air for Steph and Emmanuel’s spring wedding at Wethele Manor. 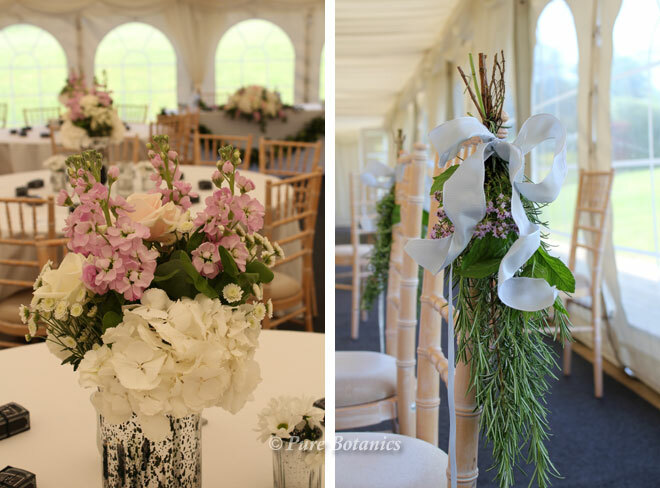 The fragrance from the fabulous blooms for this wedding was wonderful. 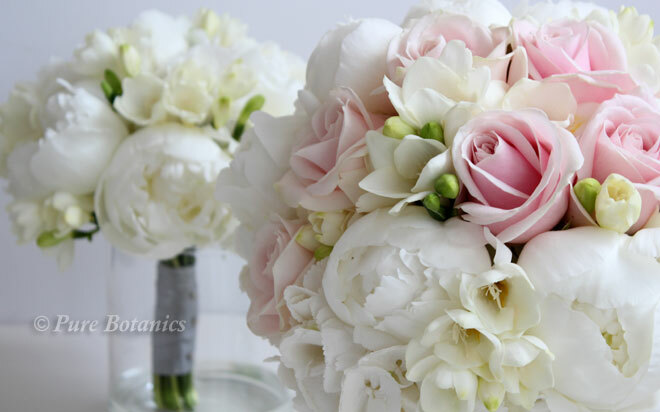 I remember opening up the workshop one morning to this heavenly smell of peonies, freesias and stocks that the couple had chosen for their wedding flowers. 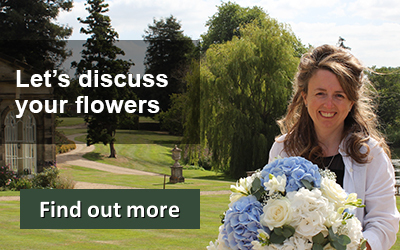 Spring was the perfect season for Steph as she loved peonies and the white ‘Duchess Nemo’ are fabulous. 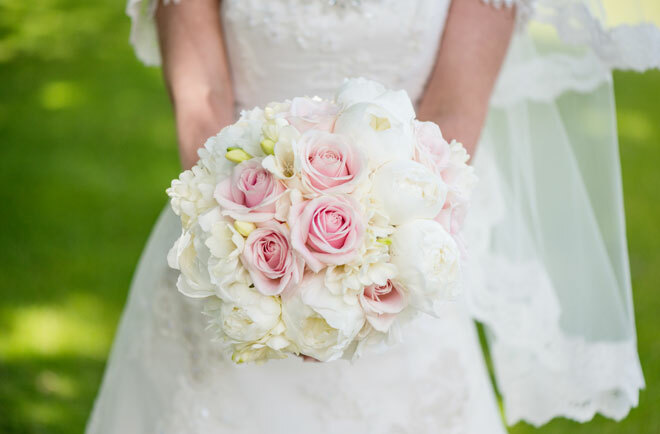 I combined them with soft pink ‘Sweet Avalanche’ roses, white freesias and hydrangeas for her handtied posy bouquet that you can see here. 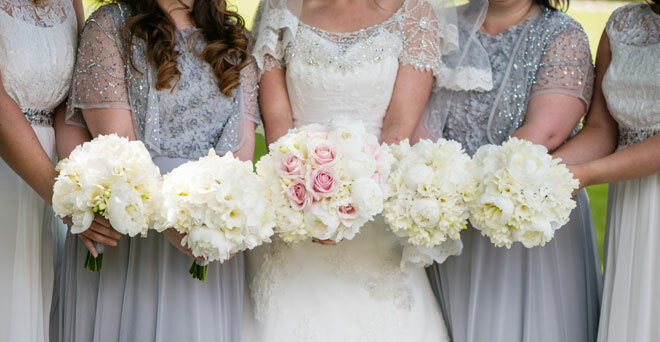 The bridesmaids had bouquets of white freesias and peonies that looked stunning against their silver grey dresses. 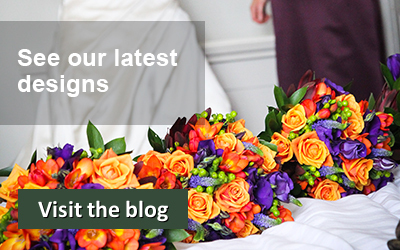 It was a large wedding bringing together two cultures with lots of guests flying in from Nigeria. So the marquee at Wethele Manor was opened up to full capacity with lots of tables. Steph chose crackle silver glassed vases to tie in with her silver and sparkly bridesmaids dress. 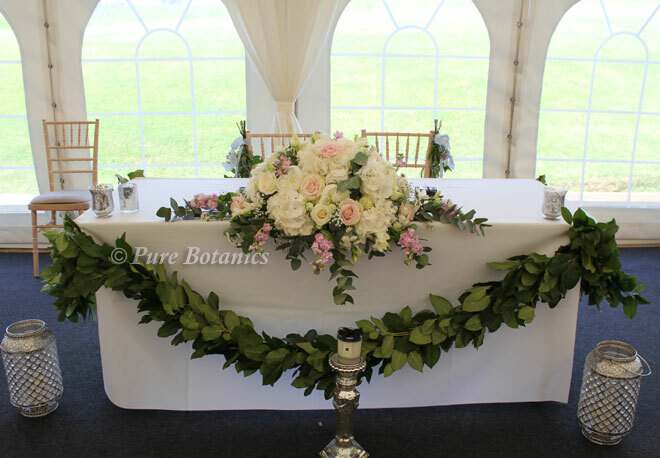 I filled them with hydrangeas, peonies, stocks and roses arranged with silver eucalyptus leaves. The couple had a top table just for the two of them and you can see in the photo below the long and low table arrangement featuring all the wedding flowers in white and soft pink. Steph also asked me to tie two bunches of herbs on the sides of their chairs as she’d seen this on Pinterest and really liked the idea. 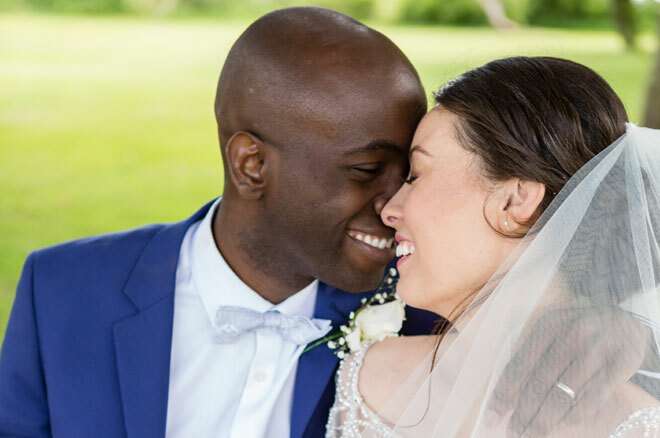 I was delighted to see Steph and Emmanuel’s wedding photos that capture the day perfectly. The professional photos you see here are kindly sent to me by by Jo Hastings Photography.